With its small, multi-age classrooms, the Hutch School provided a tailored education to the children and siblings of cancer patients, the only accredited K-12 program of its kind in the country. But mounting costs and low enrollments are forcing its closure. To students, perhaps the greatest predictor of success at school is a sense of belonging. But for 8-year-old Elijah Loveall, diagnosed with cancer before his second birthday and in and out of hospitals ever since, such security has always been fleeting. 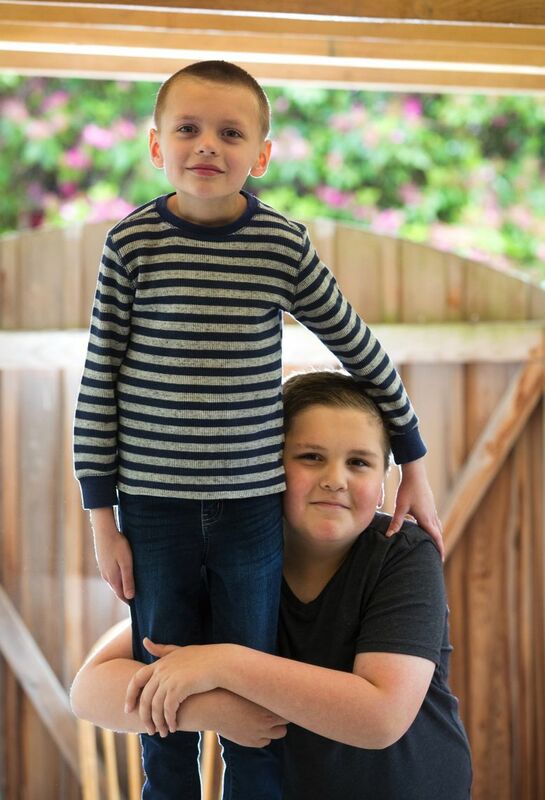 His older brother, Eliott, weathers a related sense of displacement, because every time Elijah needs surgery, chemotherapy or radiation treatments, the whole family packs up their home in Grays Harbor County and decamps for Seattle. Often, they must remain for months. 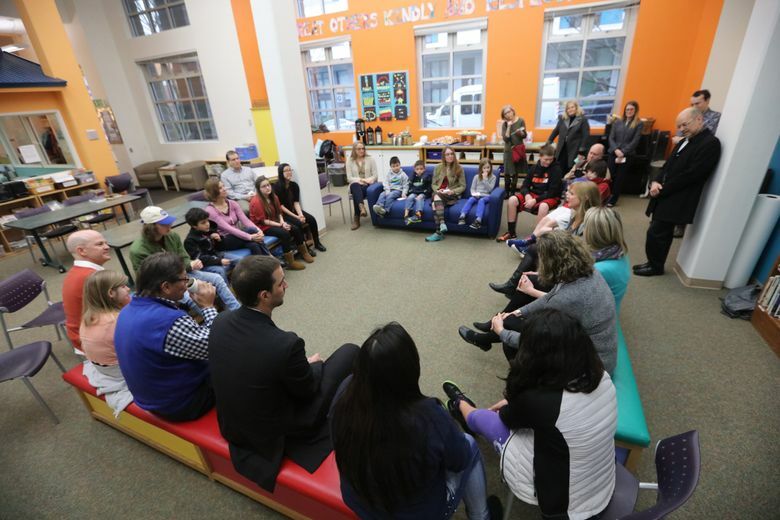 Their saving grace during seven years of shuttling back-and-forth has been the Hutch School, run as a public-private partnership by Seattle Cancer Care Alliance, and the only accredited K-12 program in the country designed for the siblings and children of cancer patients. But next week will be the Hutch School’s last. Officials at Seattle Cancer Care Alliance say the school, which launched in 1981, has suffered declining enrollments as bone marrow transplants pioneered by the Fred Hutchinson Cancer Research Center have become available across the country, allowing more families to get treatment close to home. Sometimes there are no more than 10 children to teach, according to Holly Rosenfeld, a spokeswoman for the SCCA. After June 19, those kids and any others who might have enrolled at the Hutch will be absorbed instead into Seattle Public Schools. But teachers at the Hutch — where classes have always been small — are puzzled by the low-enrollment rationale. The numbers wax and wane but were particularly strong this year, several said, reflecting the difficulty of predicting how many families with school-aged children will need education services which the Hutch provides for free. She hails from Washington, but other students enroll from as far away as Alaska, Hawaii or foreign countries. Friendships at the Hutch are necessarily fleeting and often intense. Death is a common topic of discussion but not one that any child must face alone. A social worker holds weekly group sessions to help students handle their grief and fear. Teacher Melissa Walsh wonders what will happen to them now. In a typical year, Walsh said she works with about 40 kindergarten-through-third graders for varying lengths of time, depending on their family member’s medical prognosis. Schoolwide, up to 100 students of all ages cycle through. Despite the impending closure, Walsh spent her last days at the Hutch helping kids build model planets and write end-of-year reports. She has avoided discussion of the school’s end, which feels like something of a death in itself. He believes the school’s undisputed success proved too threatening to its public-sector partner. Part of the reason is likely class sizes, which have always been small and highly individualized. Walsh was one of three full-time teachers providing a K-12 education there, alongside a social worker, principal, two part-time assistants and several arts specialists. Despite its small size, the Hutch offered a more comprehensive curriculum than some public schools, with regular music and theater instruction. Wes Weddell, a songwriter who has been working there for seven years, described teaching a Truman Capote story to high school-aged students and helping them set it to music. Technically, students at the Hutch are part of Seattle Public Schools, and in 2016-17 they generated about $52,000 in state public education funds. The school district did not respond to questions about how much of that money is actually funneled to the Hutch, which reported a school budget of $400,000 in 2006 and declined to update that figure. When Heidi Loveall learned that the school was closing, she burst into tears. Over seven years of cancer treatments for her son, Loveall had come to depend on — even welcome — the prospect of classes at the Hutch for Elijah’s older brother, who is several grade levels ahead in reading and received an education better tailored to his needs there than he had at traditional public school. 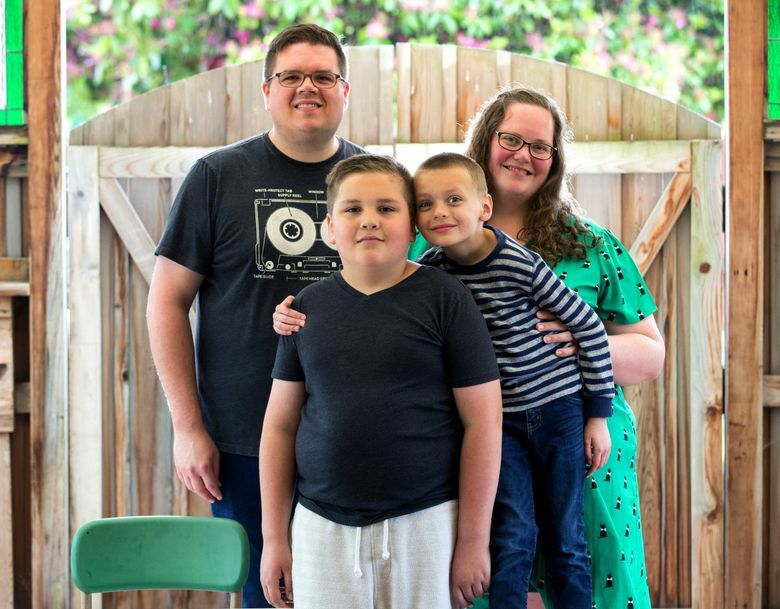 Elijah, too, is ahead of his peers, Loveall said, and when well enough during treatment periods has been able to join his brother at the Hutch.